Patience remains a virtue, even in the fast-paced world of recruiting. Ask defensive end Peter Mpagi. The three-star from George Ranch wanted an offer from Texas. His dad studied business at the university. His sister ran some track for the Longhorns. He felt Texas in his blood. That offer finally came on June 14. “(I’m) so excited,” said Mpagi about the Texas offer. 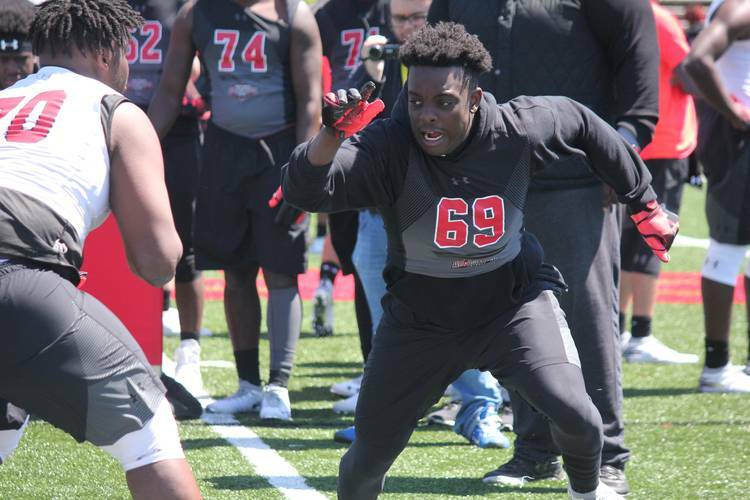 The 6-foot-4, 224-pound defensive end can play with his hand in the dirt or as an outside linebacker. Texas was his 24th offer and he’s also high on Washington after a recent trip to Seattle. Northwestern and Stanford also in the mix. Mpagi camped at Texas earlier in the month and expected an offer when he left Austin. It came, and now a real decision awaits. Mpagi wants to be committed by the end of June and has a trip planned to Stanford at the end of the month. Things could always change with the timeline now that an offer is in hand. The three-star was planning a trip to Texas A&M this weekend, but is now planning to return to Austin for the second annual pool party held by the Texas staff.